We developed an interactive campaign with the purpose to increase the association between Betsson and Allsvenskan (Swedish Premier League), where football supporters were given the opportunity to change digital out of home units to their team colours. Betsson aimed to be the betting company the target group associated with Allsvenskan. Our challenge was to stand out in an overcrowded and generic position and at the same time strengthen the brand promise of Betsson - Anytime's playtime. 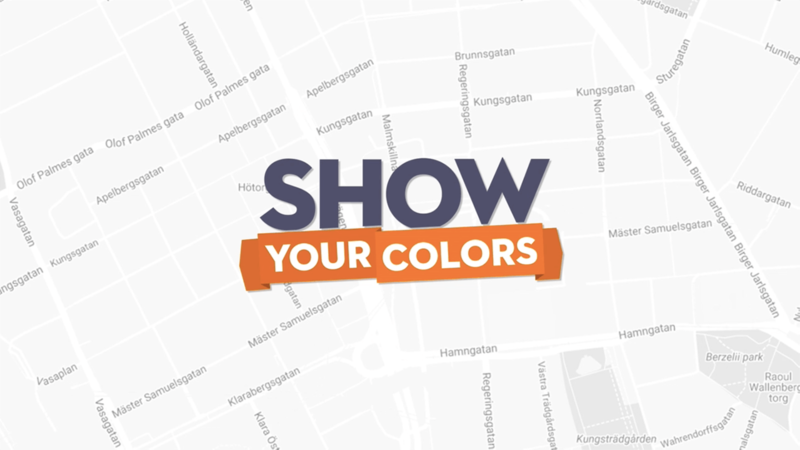 Based on the insight that football fans are prepared to do anything for their team we knew that and that the colours of the opposing team makes them see red – we launched "Show your colours". We also developed an interactive digital outdoor units where you could use your smartphone to change the colour of the unit to the colour of your favourite team. For every unit that was "taken over", the team in question got one point. The team that in the end got the most points won a big tifo.